Sticking with the Italian theme of my previous post, the Negroni has to be near the top of the “simplest cocktails you can make” list. It’s equal parts gin, sweet vermouth, and Campari. 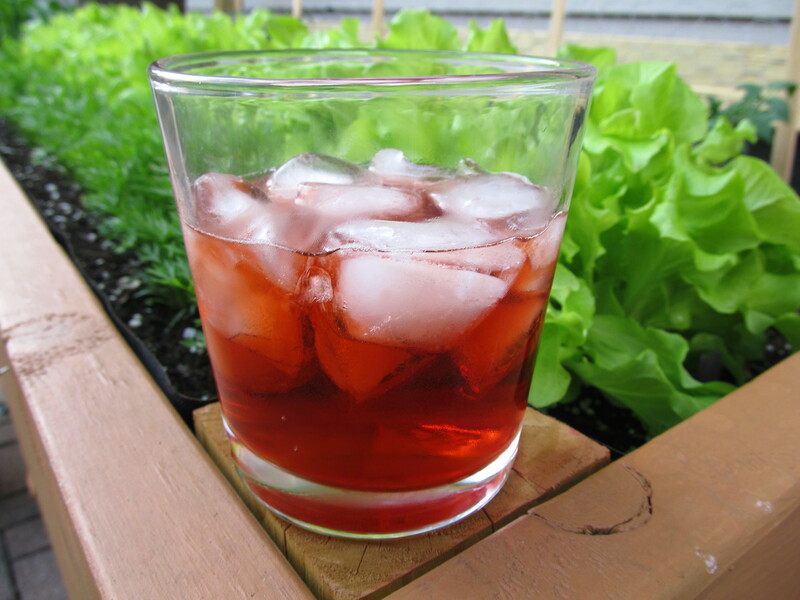 The Negroni is refreshing, easy to make, and packs quite the wallop. More than two of these and you’re asking for trouble. I find a Negroni prefect for sitting out on the patio on a warm summer evening with a bowl of salty peanuts waiting for Cheryl to come home from work. Hey, she knows when cocktail hour starts around here! According to cocktail legend, the Negroni was born in Florence when a Count Camillo Negroni asked the bartender to add more oomph to an Americano cocktail (Campari, sweet vermouth, and soda water). The bartender swapped out the soda water for gin and named it after the Count. Very Bond-like. No mention in the annals if the Count asked for it to be shaken and not stirred. Yes, yes, I know, you’re not totally enamoured with the ingredients are you? Not too sure what it’s going to taste like? Surprisingly, if mixed properly, you get a good balance of sweet and bitter. Throughout, you have botanicals of the gin and the Negroni starts out tasting sweet (the vermouth) but finishes with a bitter herbalness (the Campari). Now, not to get all science-y here but that’s probably because the front part of your tongue is where the sweet sensors are and the back part is where the bitter sensors are. Science and cocktails, a great pairing. The part of the drink which usually turns people off is the bitterness of the Campari. I was reading somewhere on the internet the French decided to offset this by doubling the gin for a 2:1:1 ratio. Supposedly the poor quality of gin “back-in-the-day” required masking agents (like Campari and vermouth) to make gin cocktails potable. Since we have better gin today (have you seen all of the different gin on shelves at the liquor store?) I would imagine it does make a tastier, less bitter cocktail, then again I like it with the 1:1:1: ratio. Anyway, the Negroni is good cocktail for the summertime and the recipe is easy to remember, which is important if you have more than two! Combine gin, Campari, and vermouth in a cocktail shaker filled with ice. Shake well. Pour cocktail and ice into a tumbler or Old Fashioned glass. If you want to garnish with an orange slice go ahead. Next Post The Best Raisin Bread Ever! Pan Tramvai!